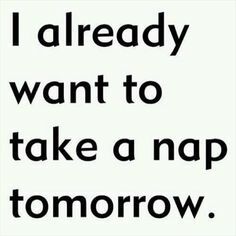 Don’t you love napping? You’re not the only one. John F. Kennedy, Albert Einstein, Thomas Edison and Winston Churchill among many others are knows to have valued their afternoon nap highly. Once, napping was seen as a sign of laziness. Now it’s becoming more accepted as people prioritize sleep in their lives because of the important physical and psychological benefits. And since many people structurally don’t get enough sleep at night, napping can be a good short time solution to boost your productivity and reduce stress levels. A NASA study found that a 40 minute nap can increase alertness with 100%. Other studies have shown that if you break up your day with a nap, the second part of the day you will be as alert and energetic as in the first part of the day. Putting in extra hours of work without a rest often dramatically reduces our productivity and performance. Irritation, frustration and poorer performance on mental tasks set in as the day wears on. Sarah Mednick Ph.D., Stickgold and colleagues reported in 2002 in Nature Neuroscience that allowing for a 30 minutes nap prevents further deterioration and a 1 hour nap boosts performance back to morning levels. 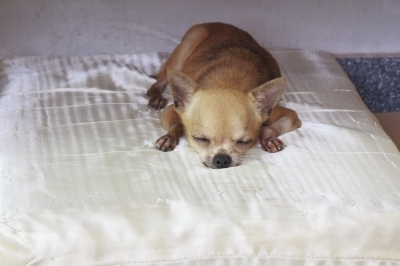 Napping can improve working memory and memory retention. During sleep, recent memories are transferred to the neocortex, where long-term memories are stored. Working memory has to do with working on complex tasks that involve focusing on one thing while tapping from your memory for other things. People who take a nap regularly, refuse to get overloaded with information and don’t let the excessive daily stress get to them. We are not meant to be in a rat race the whole day without any rest. Doing so leads to stress, frustration and burnout. So, avoid getting into zombie mode and take a nap once in a while. Napping increases creativity by blending independent ideas together. Also, napping can restore the sensitivity of sight, hearing and taste according to Dr. Sarah C. Mednick, author of Take a nap, change your life. 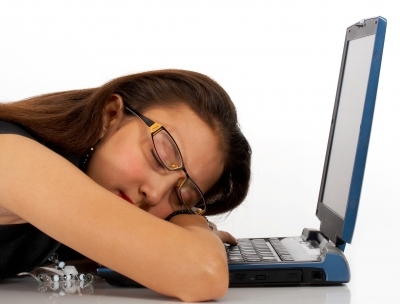 Sleep deprivation leads to an increase of the hormone cortisol in the body. Cortisol helps us deal with flight or fight responses. An excess of it however increases glucose intolerance and abdominal fat, weakens our muscular and immune systems and decreases levels of growth hormone and testosterone in the body. These effects can lead to heart disease and diabetes. When you sleep, growth hormone is released. Napping gives our body the chance to heal and our mind a chance to rest. Read more about the link between napping and heart disease prevention in this article that was publiced in The Washington Post in 2007. The neurotransmitter serotonin regulates our sleep, mood and appetite. It gives us the feeling of contentment and well-being. When we are stressed, the production of serotonin is blocked. As a result, we feel anxious, overwhelmed, easily distracted and depressed. According to Mednick, napping releases serotonin in our brain, reversing the effects of stress and gives us a more positive outlook. Bottom line is that we should stop feeling guilty about taking a nap or catching a few extra winks here and there. Now, when do I sleep? The best time to nap is early afternoon, between 1 and 3 pm. Napping later can be problematic as it interferes with your nighttime sleep needs and you might be less sleepy when it’s bedtime. Ideal is to sleep in a quiet, cool and comfortable environment. If you want to take a nap at your work, try to achieve these conditions as much as possible. Shut the door, close the blinds, try to minimize noise. For how long do I sleep? Napping up to 20 minutes will sharpen your attention and bootst your energy. After 20 minutes, you enter a deeper stage of sleep. My favorite nap in the middle of the week when in need of increased alertness. Take a cup of coffee or other caffeinated drink and then lie down for a 15-20 min nap. The caffeine will take some time to circulate the body, so it doesn’t influence the quality of your nap. In the meanwhile, it clears your body from adenosine, a chemical compound in the body that makes you feel sleepy. After waking up, you’ll feel refreshed and ready to go without the need to nap any longer. Some studies show that napping this long may cause sleep inertia and a groggy feeling after waking up. Afterwards however, the restorative effects of this nap become apparent. Bootst your creativity, working memory and problem solving skills. A nap of this length typically avoids sleep intertia, making it easier to wake up. 90 minutes equals a full sleep cycle, with the lighter and deeper phases, including REM sleep (the dreaming phase). Set an alarm to stay within the proper range to avoid sleep intertia or waking up in the middle of a sleep cycle and feeling groggy. Image courtesy of Olovedog and Stuart Brand at FreeDigitalPhotos.net.